One bedroom trendy downtown condo, located in the heart of Oliver. This unit is fully furnished, and includes all kitchenware as well! The condo has dark hardwood and slate flooring throughout, cherrywood cabinets, granite countertops in both the kitchen and bathroom, fridge, stove, microwave, dishwasher, & washer/dryer provided. In suite laundry is located in a separate room with extra storage space. One parking stall is included, and there is ample street parking for other vehicles. This is a balcony unit with new deck recently built. This condo is located in a quiet neighbourhood close to many amenities including the Oliver Shopping Centre - Safeway, London Drugs and Restaurants. Close to the Edmonton River Valley, it is a nice area to run, bike, walk, and even golf. Hawrelak Park is only minutes away. Close to both NAIT and Grant MacEwan and a quick bus ride to the University of Alberta. Includes: 1 outside parking stall, heat, & water. 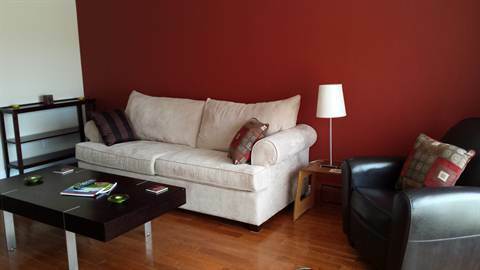 $1,200/month + $200 Utilities which includes power, water, heat and 1 parking stall! All you need to bring are your clothes! DOUBLE GARAGE FOR RENT IN KILKENNY!! !